This is the coach that started it all for us. 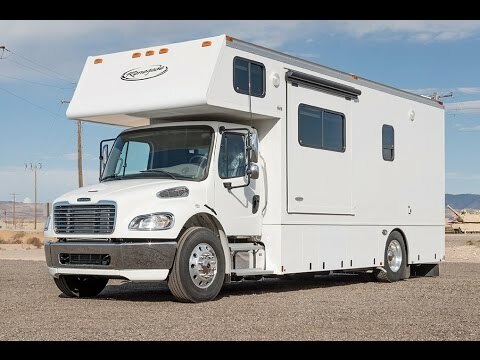 We worked tirelessly with Renegade RV to design a versatile motor coach specifically for the avid outdoorsman who wants to enjoy life’s adventures from the comforts of the ultimate motor coach. The Renegade IWS Sportsman utilizes a stable and reliable Freightliner chassis that includes a Driver-Controlled Locking Differential, Full Air Brakes, plus an All-Wheel Parking Brake feature that holds strong on the steepest boat ramp or the highest mountain passes! 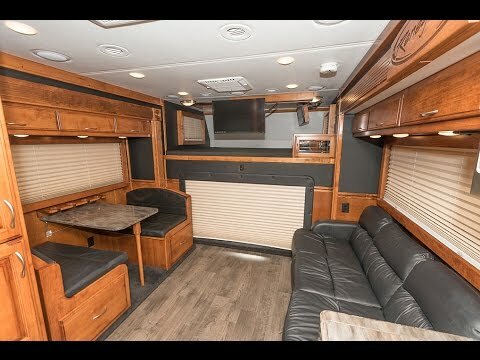 Designed with our Unique Large Mudroom, the IWS Sportsman takes the worry away from bringing what’s outside into the primary living area of the motor coach. The Mudroom also serves as an area where you can stand and store all the tools any outdoorsman needs (i.e., shotguns, fishing poles, snow/water skis, bicycles, etc.) In short, the IWS Sportsman is equally at home whether it’s parked in the wilderness or at a red carpet event! Freightliner M-2 106 GVWR 28,000 lbs. ; GCWR 33,000 lbs. Back Up Camera Run thru GPS with. Winch Brake for great parking brake power when on steep terrain. A.G.S. Starts Generator when Batteries are low on Voltage and Need Re-Charged.